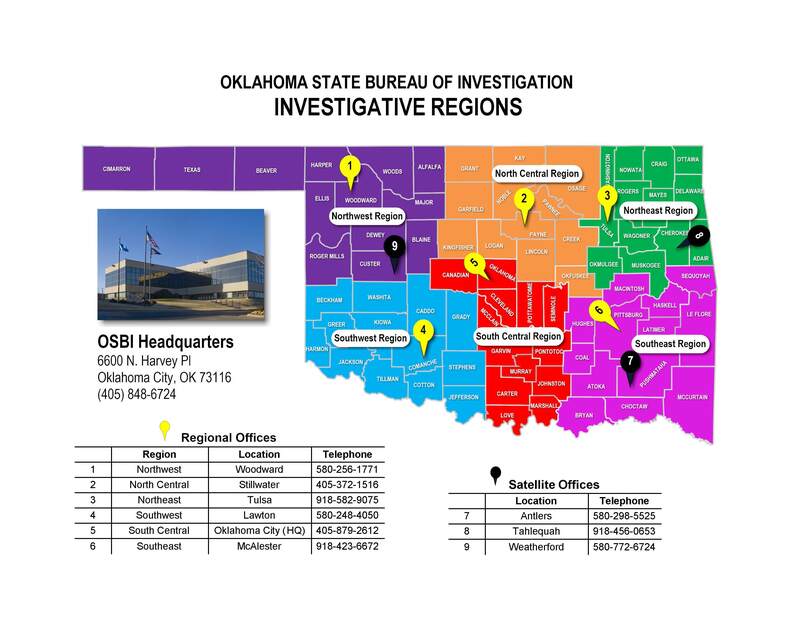 Additionally, OSBI has original jurisdiction on investigations involving auto theft, oil field theft, computer crimes, threats to public officials, violent crimes that occur on the turnpike, organized crime, criminal conspiracies, and threats of violent crime. Have you seen a missing child or adult? Do you have information on an Unsolved Case? Have you seen or heard from a Wanted Fugitive? Do you have information on or suspect criminal or terrorist activity? If you have information on any of the cases or fugitives presented on this web site, you may contact the OSBI by calling our hotline or sending us an email. All submissions will be kept confidential.